Owing to our rich industry experience, we are manufacturing, supplying, importing and exporting a broad spectrum of Micro Circuit Assemblies. These products are manufactured under the strict surveillance of qualified & experienced professionals using high-grade material and components. The material and components used in the manufacturing process are sourced from vendors of high repute. In our range, we offer Hybrid Micro-Circuits (Hmcs), ACTEL FPGA Evaluation Card, Multilayer PCB Assemblies and Printer Driver Interface Card. With more than two decades of experience, we have been able to meet the growing demands of our clients in terms of premium quality range of Hybrid Micro-Circuits.These HMCs are designed and developed in compliance with the international quality standards. 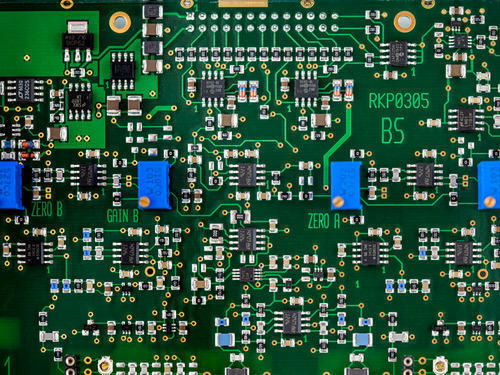 Higher reliability & secrecy due to encapsulation & conformal coating. 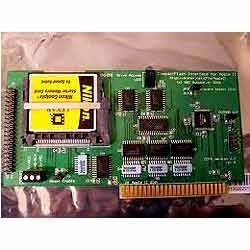 Avail from us a precisely engineered range of ACTEL FPGA Evaluation Card. Our sophisticated facilities allow us to design and prototype these four layer cards in compliance with the international quality standards. With our cutting edge technology, we have been able to design and develop electronic components such as fine pitch TQFPs, Organic LED, smd connectors and power semiconductors. We also use latest Allegro PCB editor in order to improve the design of our range and meet the exact demands of clients. Looking for “Micro Circuit Assembly”?